Christian Media in Nigeria : $9.3 Million Arms Deal: Leave Oritsejafor Alone, Northern Christians Tells Buhari! 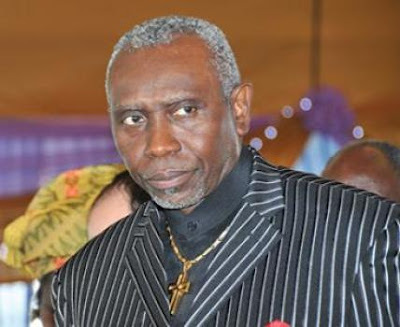 $9.3 Million Arms Deal: Leave Oritsejafor Alone, Northern Christians Tells Buhari! A group of northern Christians, under the auspices of Northern Christian Youth Solidarity Movement for Emancipation, Justice and Self Determination, has condemned what it described as campaign of calumny against the leader of the Christian community and President of Christian Association of Nigeria (CAN), Pastor Ayo Oritsejafor, over the $9.3 million botched arms deal in South Africa involving a private aircraft allegedly owned by him, describing it as reprehensible. The group therefore called on President Muhammadu Buhari to order an investigation of the personalities charged with national security during the administration of ex-President Goodluck Jonathan to ascertain the truth. The group also recommended that if found guilty after the probe, the perpetrators should be punished in line with the law. The statement said: “Nigerians are no fools and will not allow themselves to be fooled by those who seek to strike the Shepherd just in order to get to the sheep; those embarking on the campaign of calumny against Oritsejafor should retrace their steps. “In this political dispensation, we must all join hands as citizens to not only fight corruption, but also come up with policies that are capable of rewriting the history of this nation by positioning it in the comity of nations of the world economically. The statement further said that Oritsejafor proudly takes responsibility for defending the rights of the Christian community and those of the less privileged, and can never be cowed by the activities of cheap popularity seekers. The statement said that the group has watched with dismay the campaign of calumny by certain individuals and group of persons against the CAN President because of his uncompromising stance and quality leadership for the Christian community in Nigeria. It maintained that some people have apparently committed themselves by oath to stop at nothing until they have destroyed the unblemished record of integrity which Oriitsejafor laboured to build over several decades of his walk with God. Describing the situation as completely indecorous and in very bad taste, it wondered what the traducers stand to gain. “Now, the question here is why? Who is afraid of Pastor Ayo Oritsejafor and is hell-bent on creating a false perception of him? Who has taken an oath to stain the unblemished integrity of an innocent man of over four decades of ministering? Is it not obvious that it is because of his stand for truth and for his number one constituency the church?,” thr group asked. The group therefore called on Nigerians not to allow themselves to be misled by those who make political capital from tarnishing and tainting the impeccable character of the Christian leader with a view to possibly decimating his support base and hitting directly at those whom the cleric has fought all his life to defend. “It is on record that at the inception of Boko Haram, while many Nigerians were still confused, and information as to the origin and status of the Islamic sect was scanty and distorted, Pastor Ayo in far away United States of America, addressed the US Congress not minding the stand of the Federal Government of Nigeria on the need for an international eye and a clampdown on not only the leadership and activities of this Foreign Terrorist Organisation but their sponsors. “His declaration at that occasion that Boko Haram should be branded a Terrorist Organisation was not welcomed there and here in Nigeria. Today, Boko Haram has not only been classified as a terrorist organisation in Nigeria but worldwide with linkages to other terrorist organisations in the world like the so-called Islamic state (IS), al -shabab, al-huthi rebels, al-Qaeda, Taliban, jabhat al-nusrah, Islamic front, seleke, etc. “We demand that those saddled with the responsibilities of security matters of the nation in the last administration should be called to explain what they know concerning the South African drama and botched arms deal, rather than trying to rope an innocent man of God. “The Buhari’s administration should investigate those who have control over arms purchase and the people charged with the responsibility of ensuring security during the last administration because their office contrived such a high wired intrigue. So for anybody to call for the probe of Ayo (Oritsejafor), is the height of mischief. In the first place, he was not a member of Jonathan’s cabinet. “May we also say unequivocally that all the sacrifices Pastor Ayo has made for the Northern Christians and Nigeria even before he became president of CAN, regardless of how they have decided to twist things, can never be forgotten by those who know the truth and peace-loving Nigerians,” the group also stated.